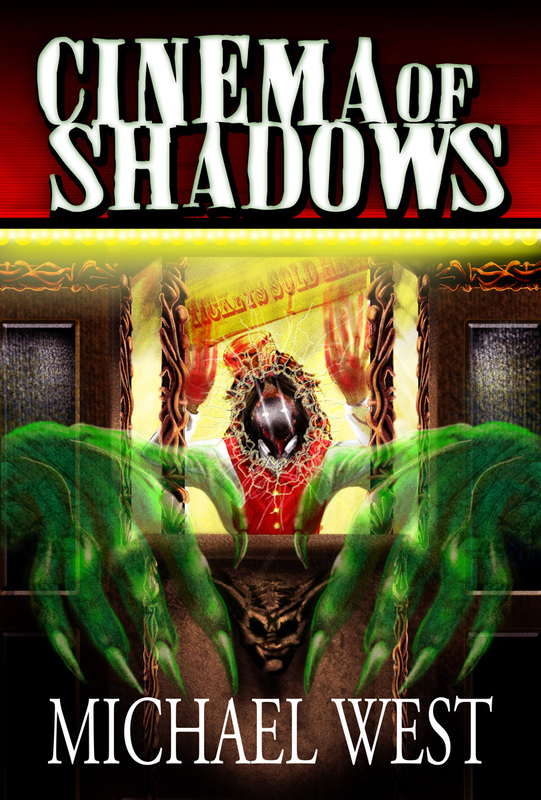 For the last several months, every review site on the web has taken a moment to heap praises upon Michael West’s Cinema of Shadows, his second novel and his first release through Seventh Star Press. Now it’s my turn. Cinema is a triumph—incredibly satisfying, offering the scares you hope for with an attention to detail, history, and a set of characters you like and root for, even knowing not everyone makes it through to the end. And the movies. The book is a celebration of Michael’s love of movies. The book begins with a couple of prologues, first about our main character Kim Saunders, then with a significant flashback within the Woodfield—the movie palace in which the bulk of the story takes place. Michael takes us back to Harmony, Indiana, the setting of The Wide Game (which I awarded the coveted 10/10 Arjays, see review here). He’s taking us from high school to college, where follow Ms. Kim Saunders and her group of friends—her roommate Tashima, and Joss and Kevin. The four have been grouped into a “team” of wanna-be investigators all trying to earn a semester’s credit of paranormal research under the leadership of the infamous and very British Professor Geoffrey Burke. Kim is chosen to communicate with the spirits. It’s clear from the start she has a talent in finding rapport with the other side. When she addresses them, things “happen.” Her friends don’t know (but the reader is let in) of her mysterious past and the encounters that have allowed this to happen. Following a partly botched haunted house episode, Kim is taken to the emergency room and treated by Doctor Tyler Bachman. It’s hardly five minutes later that “Doctor Bachman” has discharged her, asks her out, and he becomes “Tyler” for the rest of the novel, and the budding romance falls into place. Professor Burke has been offered the unique opportunity to investigate the soon-to-be-demolished Woodview Movie Palace for the weekend, and he recruits the student team most aggressively to join him. Everything clicks into place pretty fast, and soon the team is setting up at the movie palace, learning its ghastly history, uncovering its secrets, upsetting the spirits, and getting into all sorts of trouble. At 278 pages the book moves fast, yet never feels rushed. For me, comparisons to The Wide Game are inevitable, so, compared to The Wide Game, the situation is simpler, more straightforward. While The Wide Game protracted the reveal, Cinema is about getting to the scares and whipping the plot along. The book, about a movie palace, shows a distinct love for movies, and “unspools” like a movie. Lines that will read as throwaway detail to some will have film students nodding their head at the in-joke. For example, when Kim and Tyler take a late-night stroll, Michael makes a point to mention that the sidewalk glistened wet from a recent rain. Those familiar with cinema techniques know that cement photographs better when wet and is often hosed down prior to filming. I’d like to also mention the Catholic Christian emphasis in both Cinema and The Wide Game. For several decades it seems to have become out of vogue to create horror stories in which the power of God and the name of Jesus Christ can affect the outcome of supernatural encounters. 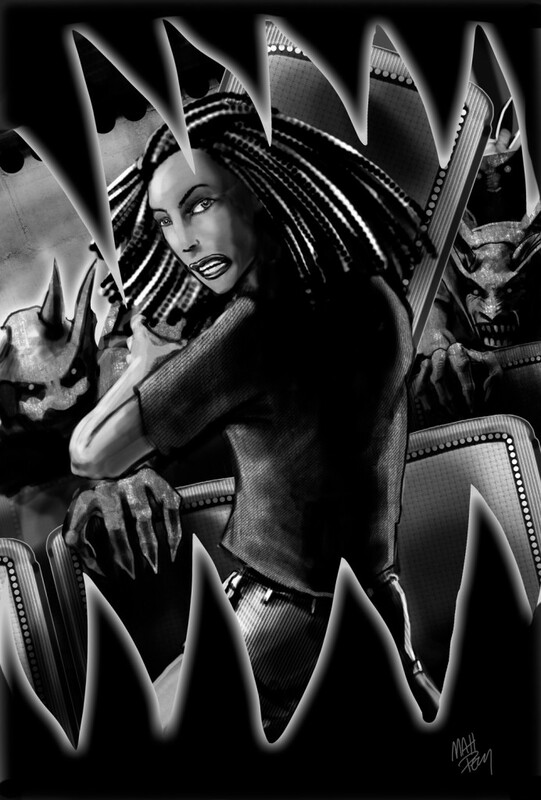 (The crucifix, in modern vampire fiction, is waved around more like a can of mace than a symbol of spiritual presence). Modern American spirituality tends to be removed or minimized from “mainstream” horror fiction and only handled (or mishandled in my opinion) in “Christian horror” fiction. Not so in Michael’s work. Cinema offers us a group of sexually experimenting college kids, prone to use “bad” language, but some of which have a strong faith, and fall back on that faith in hopes to affect the outcome of the tale. As a result, Cinema becomes one of a few unacknowledged Christian Fiction horror novels, with Christian characters most American Christians would understand and relate to, but will never be found in a Christian Bookstore. For me, and I suspect for others, Cinema and The Wide Game fill a gap in secular storytelling, and I applaud Michael and Seventh Star Press for making that stand. Now I hear Michael screaming “why didn’t it get ten Arjays?” A rating of 9 should tell everyone that I loved Cinema of Shadows, but I related to The Wide Game on a personal level in a way that no author can control. And so, I preferred The Wide Game, by a “smidge”, and had to rate the story in a way that reflected how each book affected me, the reviewer, personally. Bottom line: Highly recommended for those who love action-oriented cinematic paranormal fiction. 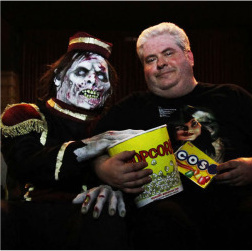 See my interview with Michael West around the time of the release of Cinema of Shadows here. This entry was posted in Cinema, Ghosts, Horror, Michael West, Movies, Paramormal, Review, Seventh Star Press. Bookmark the permalink.